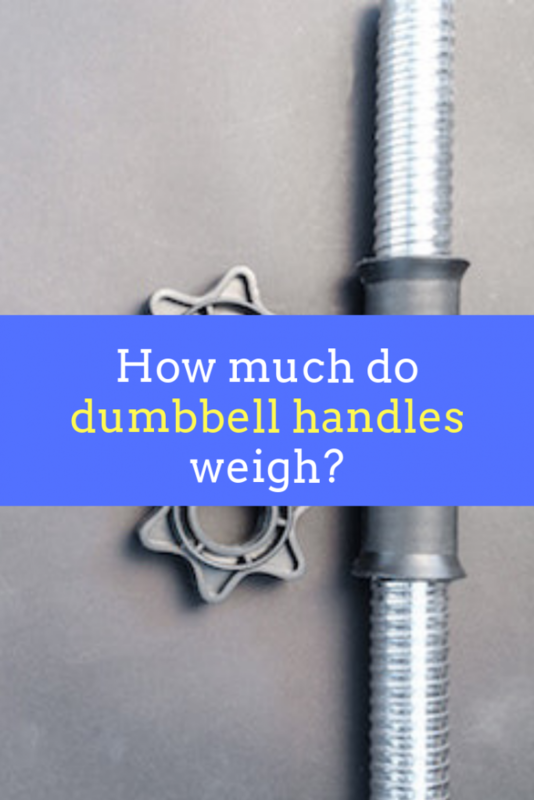 How much do dumbbell bars & handles weigh on average? I love a good set of dumbbells. You’ll get great range of motion using them for big lifts like the bench press. Plus, there’s so much you can do with them — the different exercise variations you can do with dumbbells are practically endless! But one thing that can be tricky with dumbbells, especially adjustable dumbbells, is knowing exactly how much weight you’re lifting each time. It’s important to know: How much do dumbbell bars or handles weigh without weights? It all depends on the brand, but usually, the empty dumbbell bar will weigh somewhere between 5 and 10 pounds per hand. 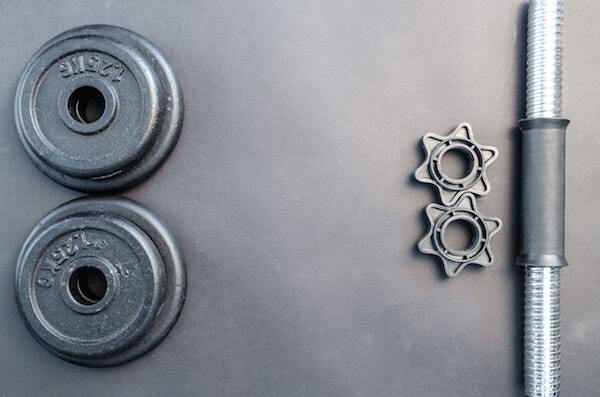 Adjustable dumbbell handles come in lots of different shapes and sizes. Shorter (around 14″) bars and thinner bars (around 1″ diameter) will be closer to 5 pounds each, where longer bars with thicker sleeves (closer to 2″) will weigh closer to 10 pounds each or slightly more. Now let’s take a slightly closer look. Let’s look at some real-life examples of dumbbell bars you could buy for your home gym. A few of the biggest names in this area are Yes4All, CAP Barbell, Body Solid, and Titan Fitness. 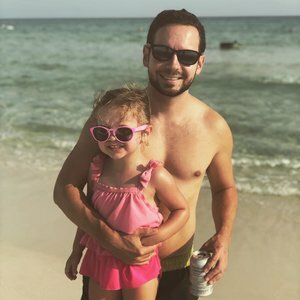 There are tons of other brands out there, and plenty of notable ones, but I gathered a few samples from Amazon to give you a solid sample size of what you can expect. Also, some handles will be solid and some will be hollowed out, which can affect the weight. If you’re buying for your home gym, you should be able to easily get this information from the manufacturer online. The weight of each handle is almost always readily available on Amazon. And if you’re buying directly from a manufacturer, it should be clearly listed. (If not, a quick note to customer service should get you an accurate answer). If you’re using adjustable dumbbells at the gym and want to know an accurate weight of each bar, I suggest weighing them yourself. You might be wondering: Why is this even important? The truth is, for most of us it’s not that important. As long as you’re using the same style of dumbbell handle with each workout, you should just worry about tracking the weight plates you’re using and focusing on progressive overload. For recreational and bodybuilding purposes, progress is the only real thing that matters. But if you’re hopping around between gyms, or using different equipment at each workout, or you’re training for a specific athletic purpose (like powerlifting), you may want to get a more exact idea of how much weight you’re lifting. If there’s no scale available in your gym (or even worse, a manual scale), you can always ask a gym employee if they know how much the dumbbell bars weigh. How much weight can an adjustable dumbbell handle hold? So, just how much weight can you load onto one of these bars? Sadly, there is. And it will depend heavily on the kind of bar (length, thickness, and quality). Most adjustable dumbbell bars can hold somewhere between 100 and 200 pounds per hand. There will be limitations here not because the steel of the dumbbell bar can’t handle more, but because dumbbells are meant to be smaller and mobile! Having multiple 45-pound plates hanging off a dumbbell handle kind of defeats the purpose and will limit what you can actually do with the weight. 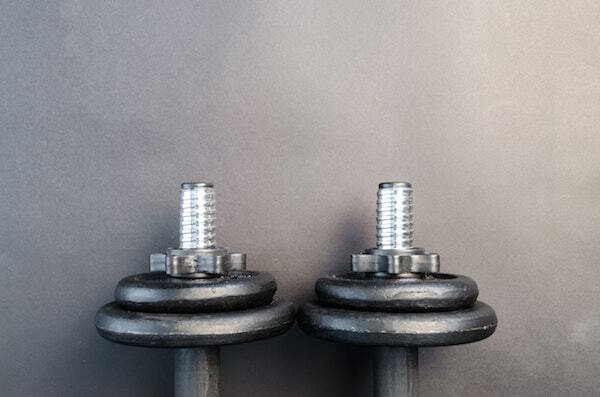 You’ll want to check the manufacturer’s specs online to find out exactly how much weight your adjustable dumbbells can handle. If you’re wandering around the gym looking for some new exercises to try, you’ll find all kinds of interesting kinds of barbells you can use. What are the best dumbbell handles for a home gym? Workout style: Do you like to set up for big, compound lifts and take long rests in between? Or do you like high-intensity interval style workouts (HIIT) where you switch between different weights quickly? Your strength level: Are you a total newbie or have you been lifting for a while? Are you starting out doing curls with 5-pound weights or will you be bench pressing 150 pounds per hand? I think adjustable dumbbells are a great investment for any home gym, but the kind you choose can vary wildly depending on your needs. If you’re looking for a solid and reliable dumbbell handle that you can load up with a lot of weight, I would go with something like the Titan Fitness 20″ dumbbell bars (Amazon link). They’re sturdy (12 pounds each) and can handle whatever you throw at them! But if buying lots of weight plates and going through the slow loading and unloading process of spinlock or clip lock dumbbells seems like a drag, I recommend going with an adjustable dumbbell system like the Bowflex SelectTech 552 dumbbells (Amazon link). Check those out! That should give you a pretty good start if you’re looking to stock a home gym. Most adjustable dumbbell handles you’ll find will weigh somewhere between 5 pounds (shorter, thinner bar) to 10 pounds (thicker and longer). Though some really sturdy ones can weigh 12 pounds or more. The actual weight of the bar won’t matter much for most recreational lifters, but it’s still helpful to know for the sake of consistency and properly tracking your weights for progressive overload. When in doubt, weigh the bars yourself! You’ll get the most accurate reading by standing on the scale holding the bar and then subtracting your own weight. Good luck with your dumbbell workouts, friend! I hope this guide has helped.